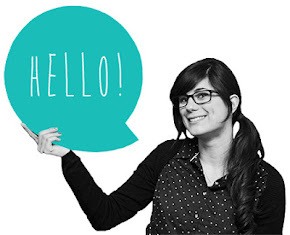 In this cloudy Sunday in Rome I want to suggest you a very easy and fast DIY project. 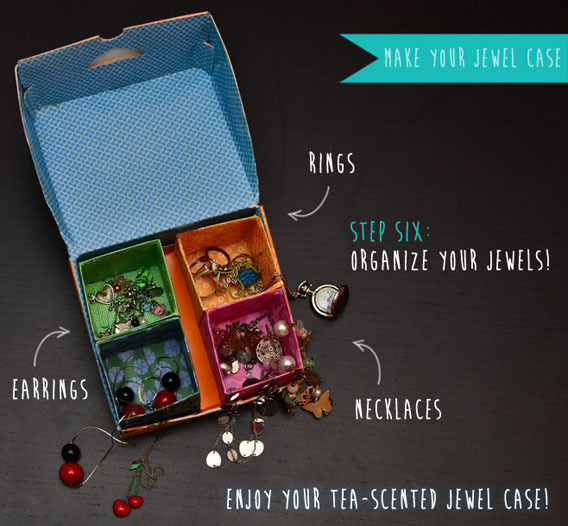 I love tea and I throw away many tea boxes, so few days ago I thought to reuse one of these to make something new, and I came up with this idea: turning an empty tea box into a jewel case! 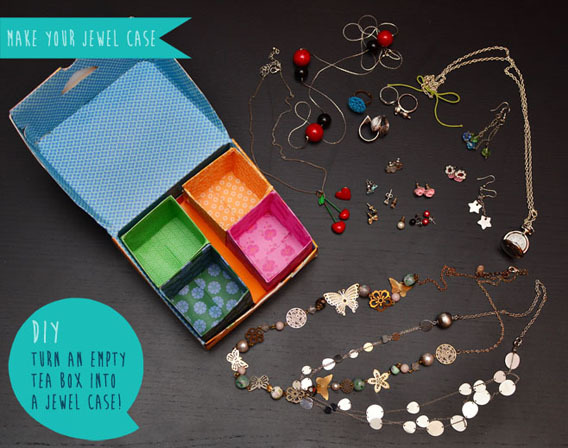 I always have my jewels on my night table or into so many little boxes... I desperately need a jewel case! - An empty tea box, I suggest one with a selection of infusions, so you have multiple boxes inside. 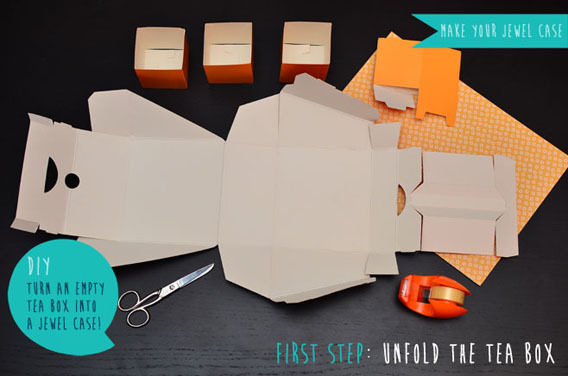 Step one: unfold the tea box. Be careful not breaking the box parts. Step two: upholster the inside of the tea box with origami paper. I've started with the inside of the box because I can fix the origami paper on the tea box without worrying about the scotch-tape, It will be covered with the origami paper I'll use to upholster the outside of the tea box. 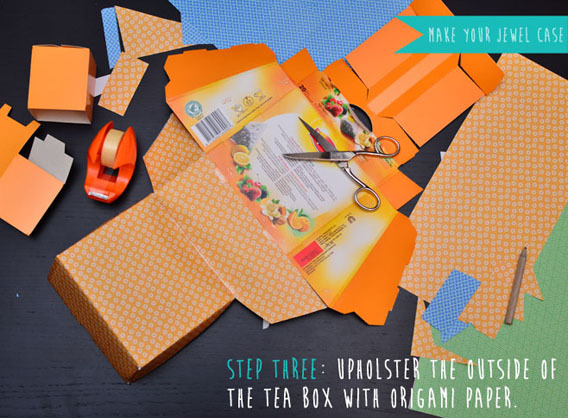 Step three: upholster the outside of the tea box with origami paper. 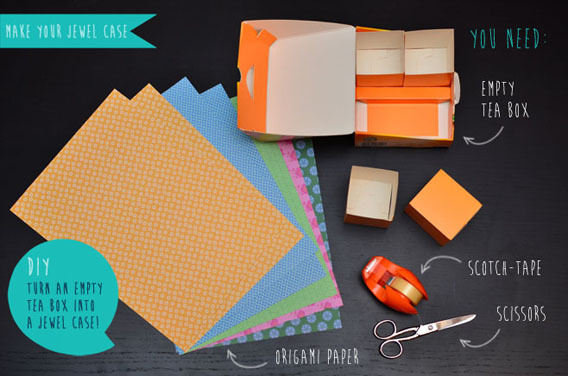 You shouldn't worry using the exact amount of paper, in fact I suggest to use more origami paper to fold the excess into the box and complete the covering without imperfections. 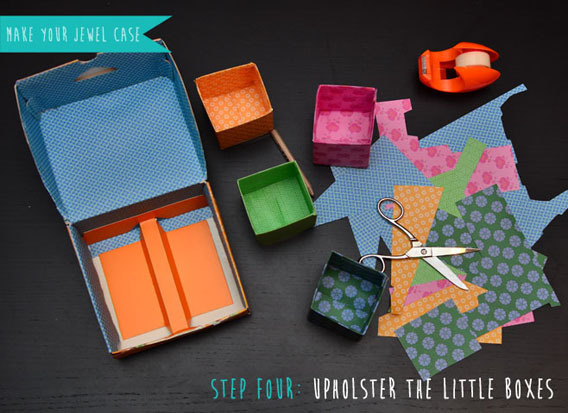 Step four: upholster the little boxes inside the tea box with origami paper. 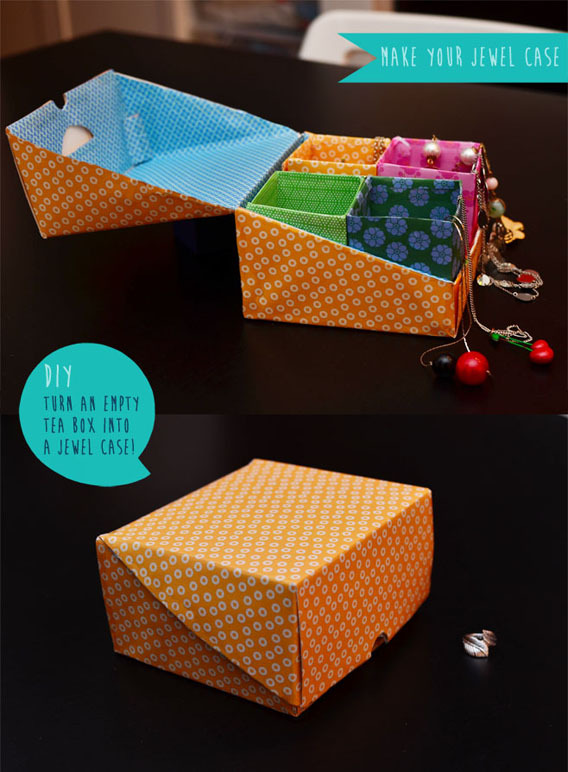 Use the same technique as the bigger box. 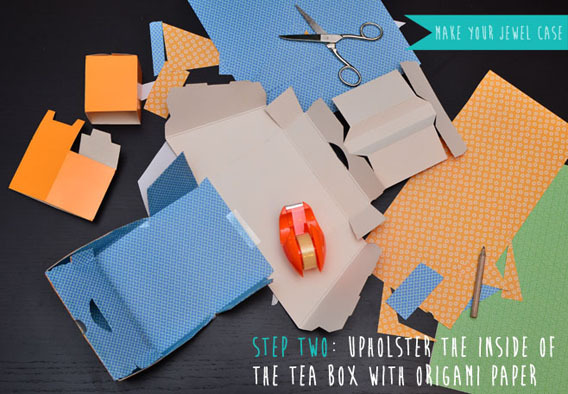 Step five: Recompose your ex-tea box. Does it look different? 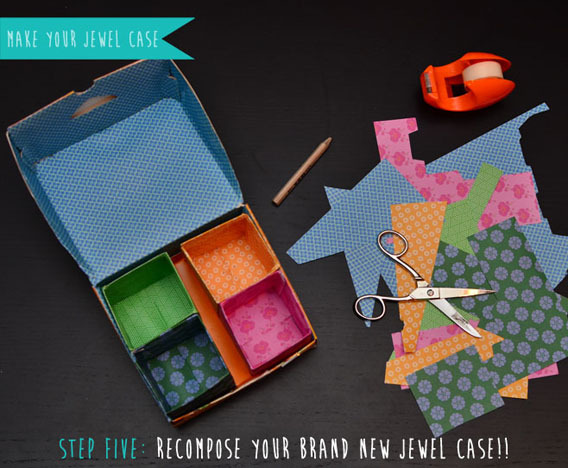 Step six: Organize your jewels into your brand new jewel case!